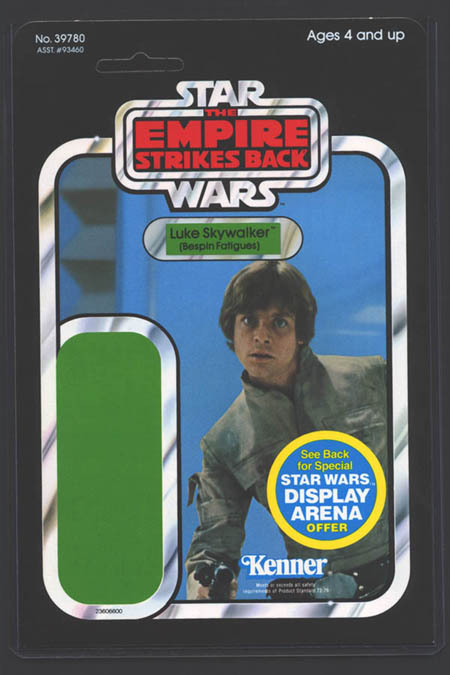 The ESB 45-Back proof card shown above features Luke Bespin. The square bottom corners and offset punch hole represent two card front characteristics that immediately distinguish this piece as a proof card. A group entry featuring many of the characters in Sandy's "Display Arena Offer" proof card collection may be viewed here.